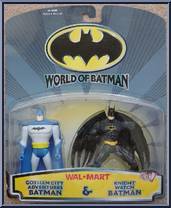 Includes Gotham City Adventures Batman & Knight Watch Batman. Batman, a hero of the night, strikes at the rampant crime and corruption that infests Gotham City. Driven by the senseless murder of. . .